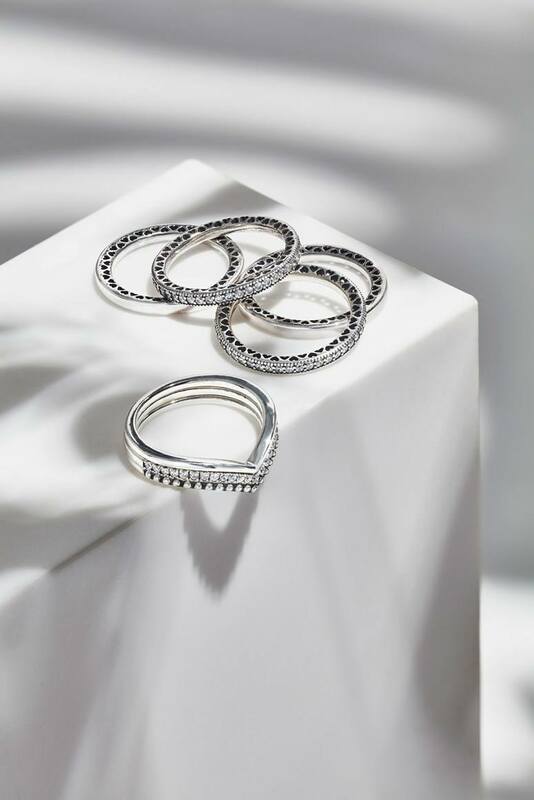 Pandora brings its latest jewellery collection 'Geometric Glow' and enlists model Rosie Tupper to star in the campaign. Photographed by Steven Chee, the blonde model wears an assortment of designs from the collection which include dainty and delicate pieces. 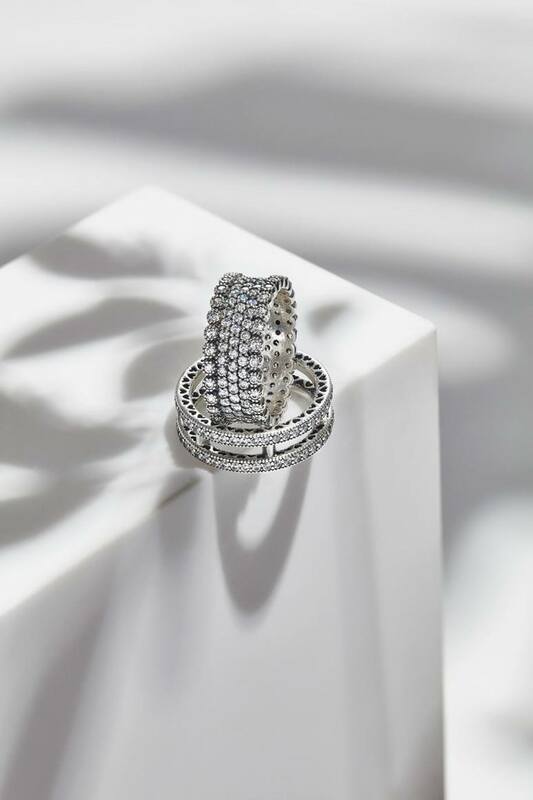 Pandora's 'Geometric Glow' collection can be layered up and mixed and matched to achieve the look you desire. Rosie is a charming vision as she flaunts necklaces, rings, earrings and bracelets that are all feminine and chic.